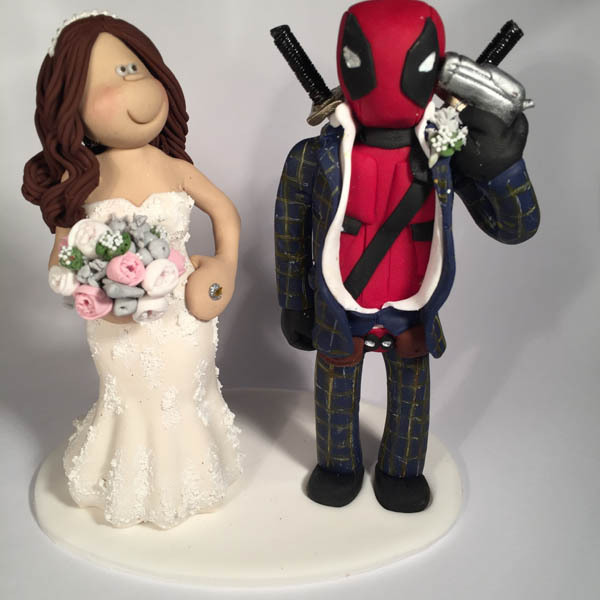 This groom was a fan of the Deadpool film so dressed up as the character! 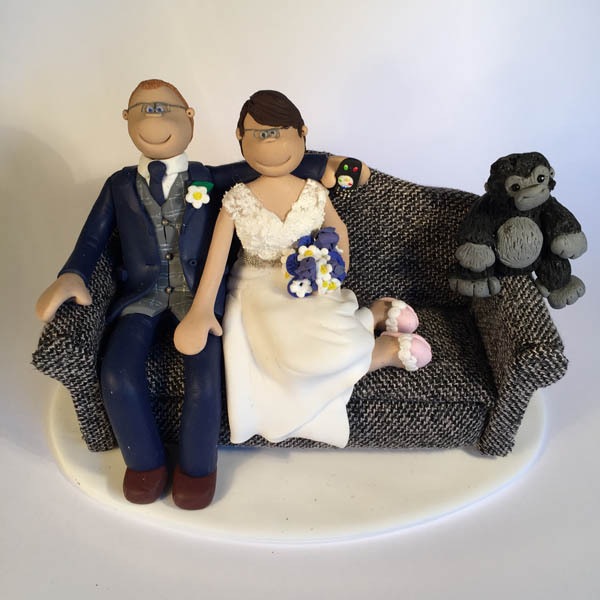 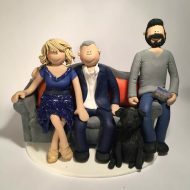 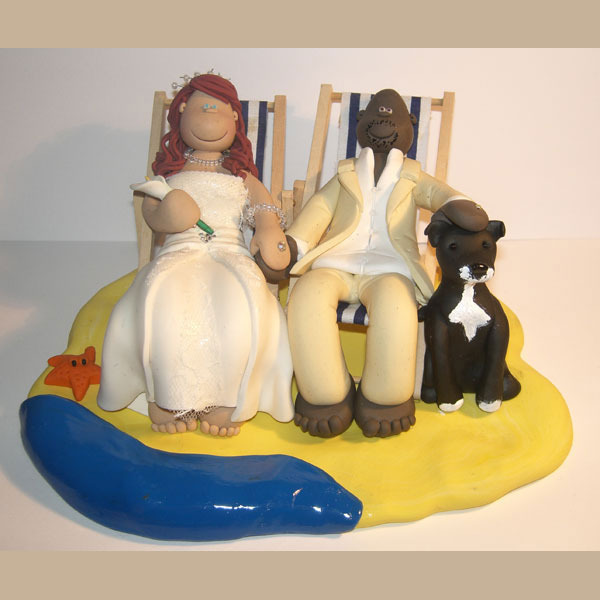 A couple relaxing on the sofa with their pet….monkey! 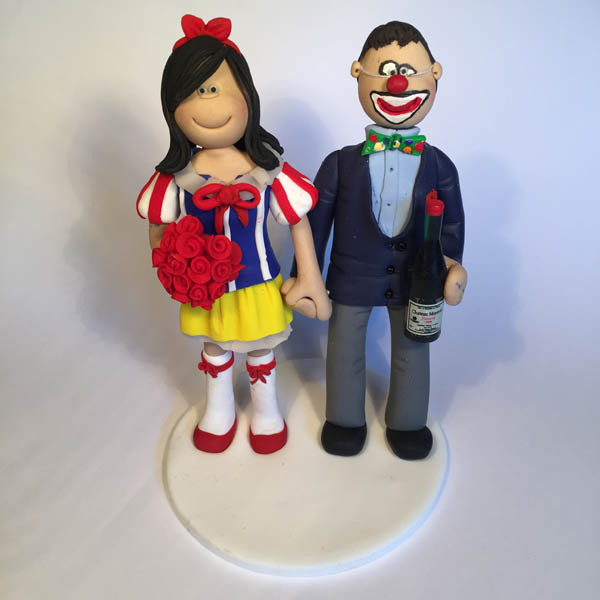 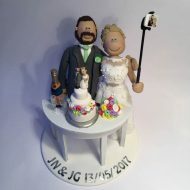 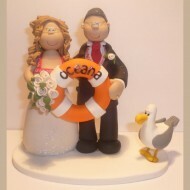 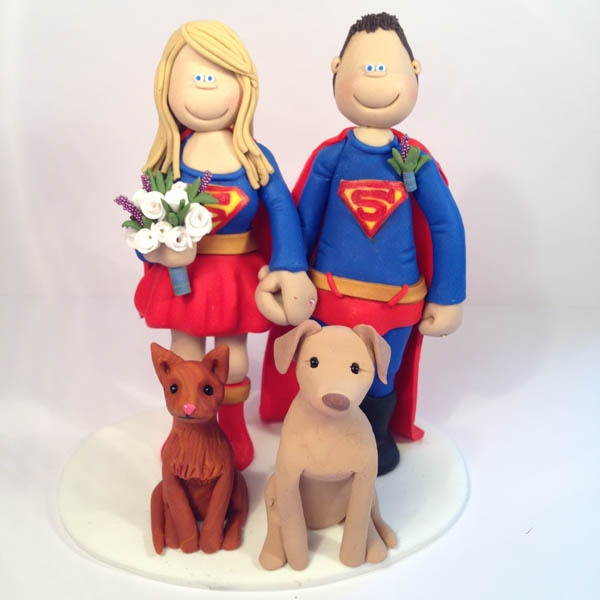 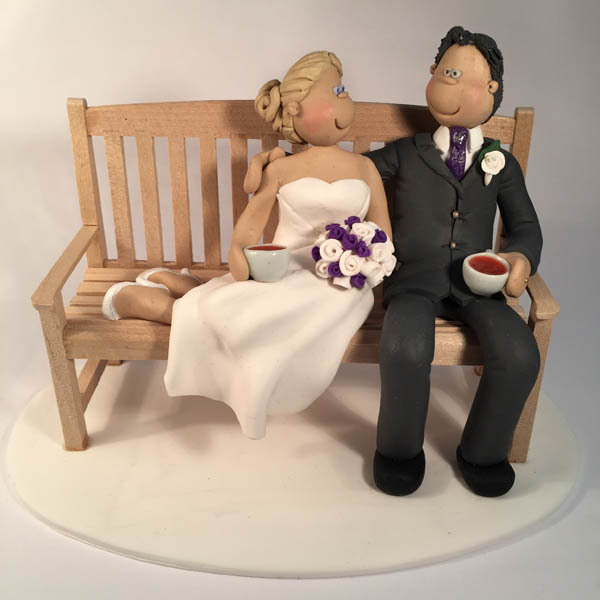 Our first ever clown themed wedding cake topper and we love it! 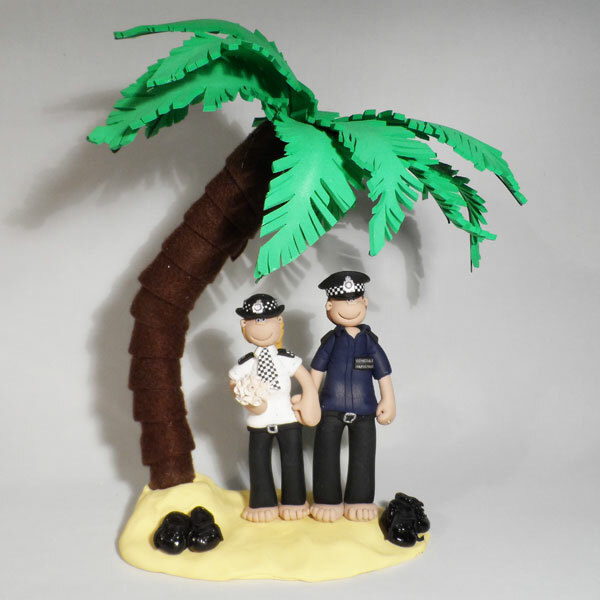 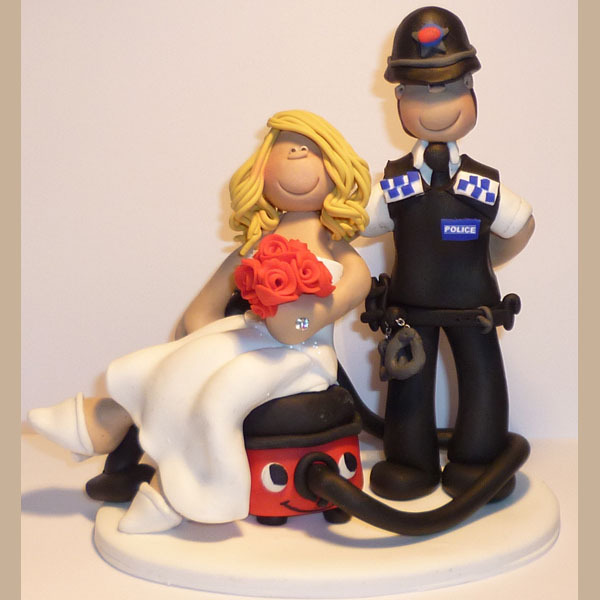 A police couple already on their honeymoon under a palm tree! 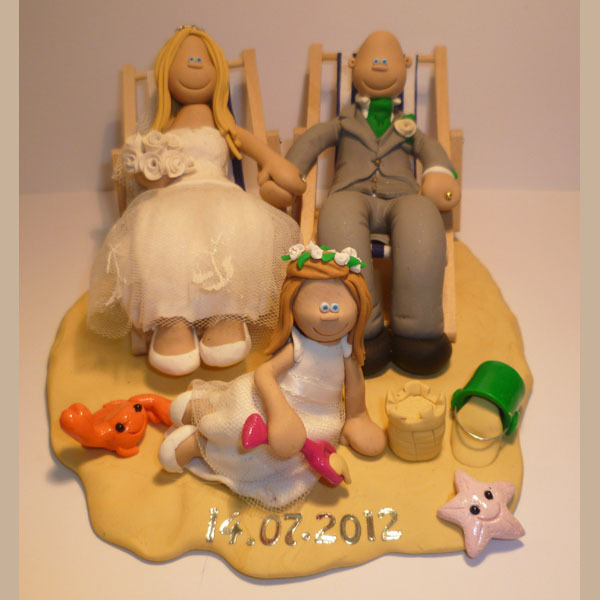 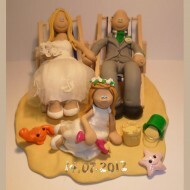 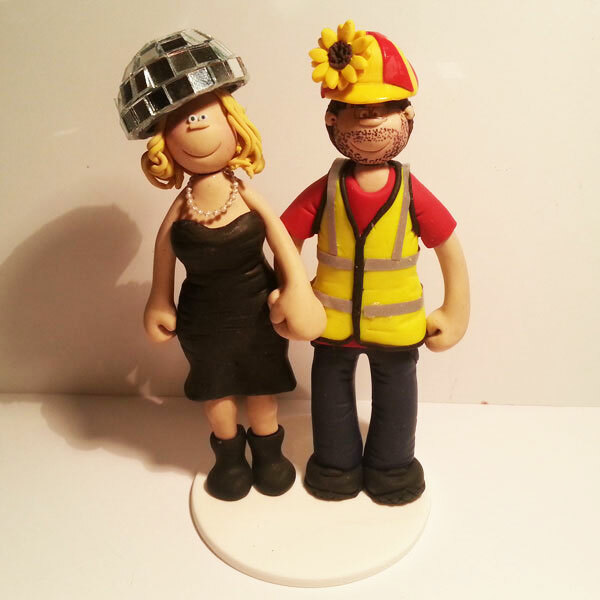 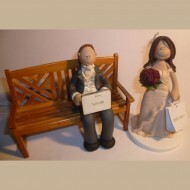 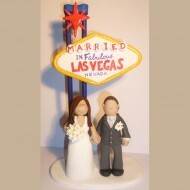 A bride and groom off to Vegas for their wedding! 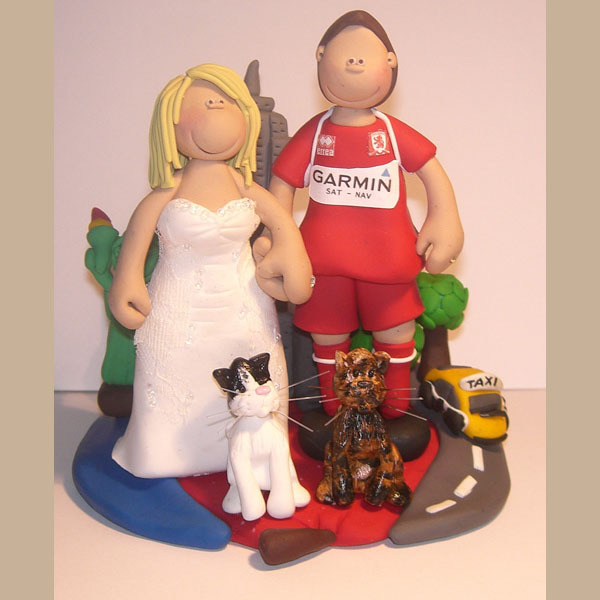 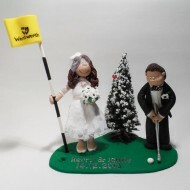 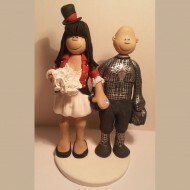 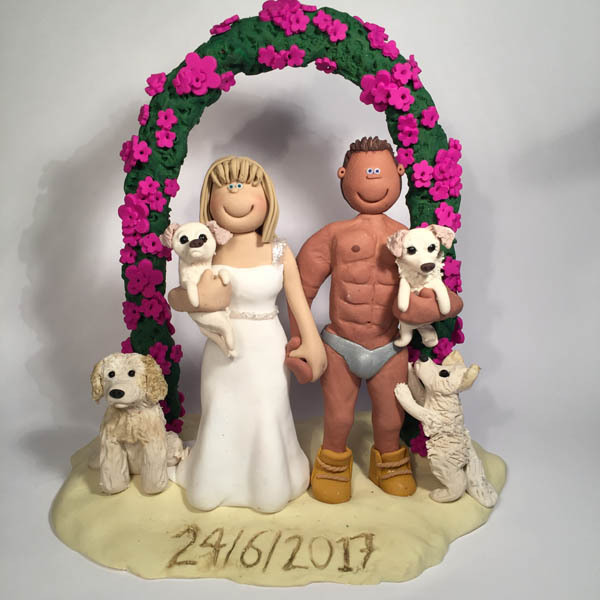 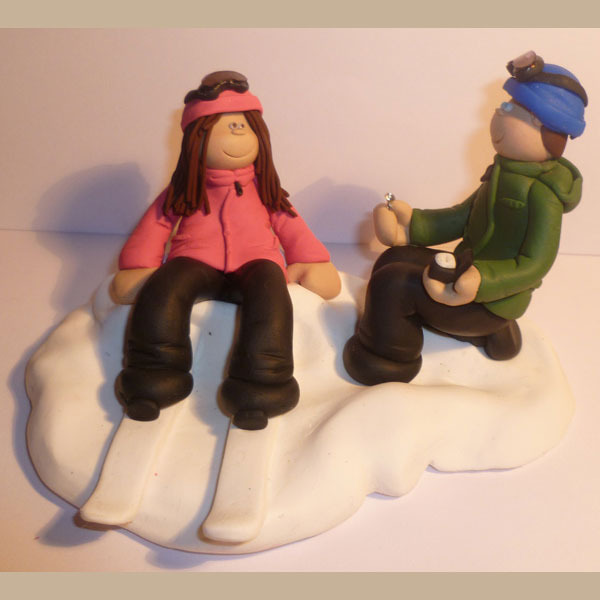 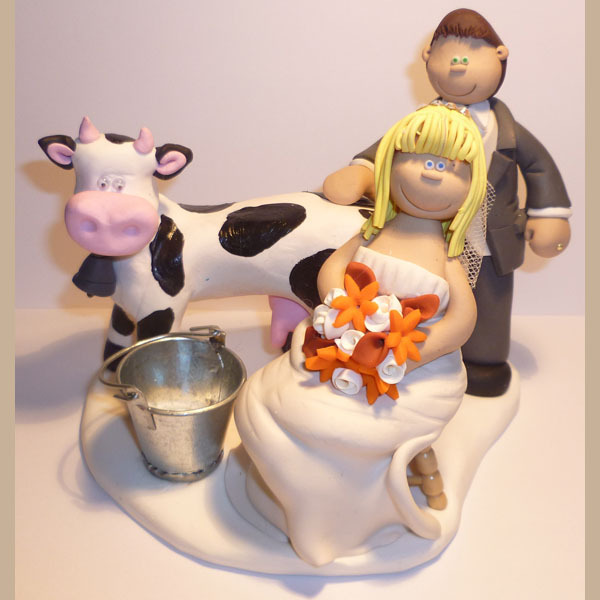 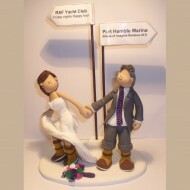 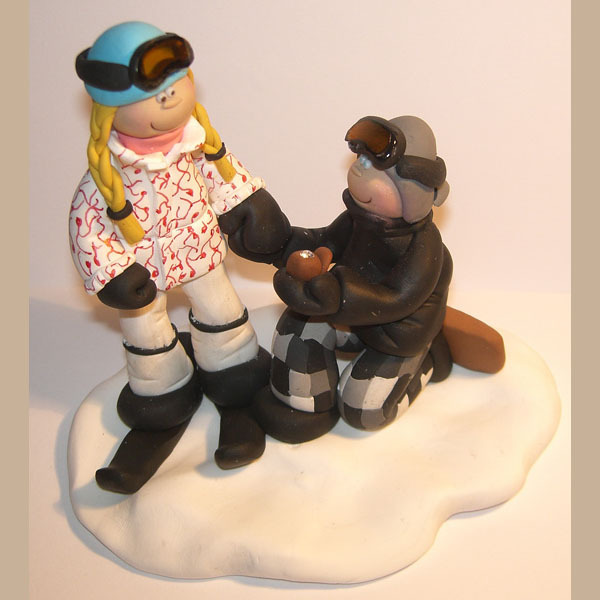 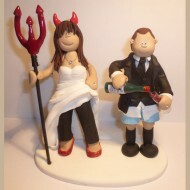 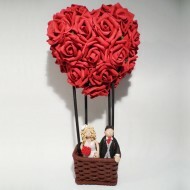 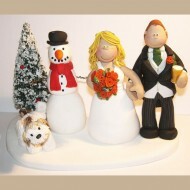 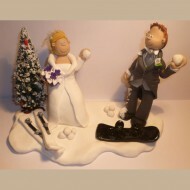 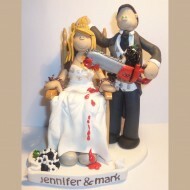 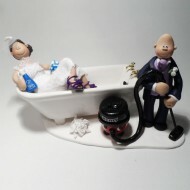 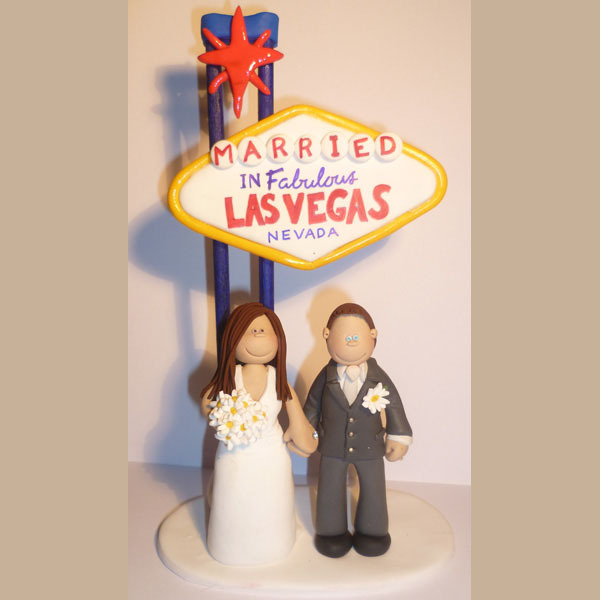 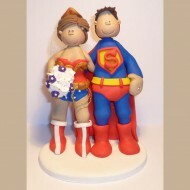 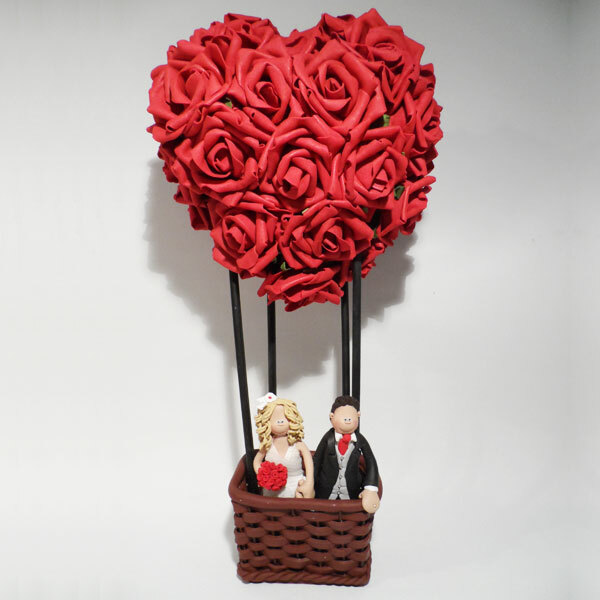 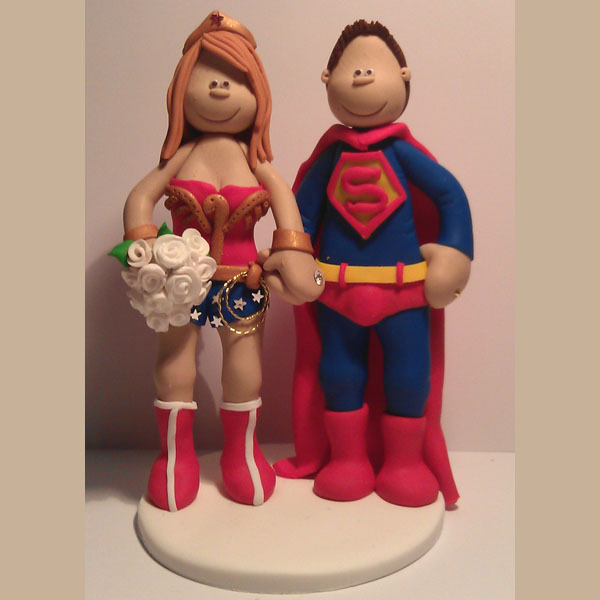 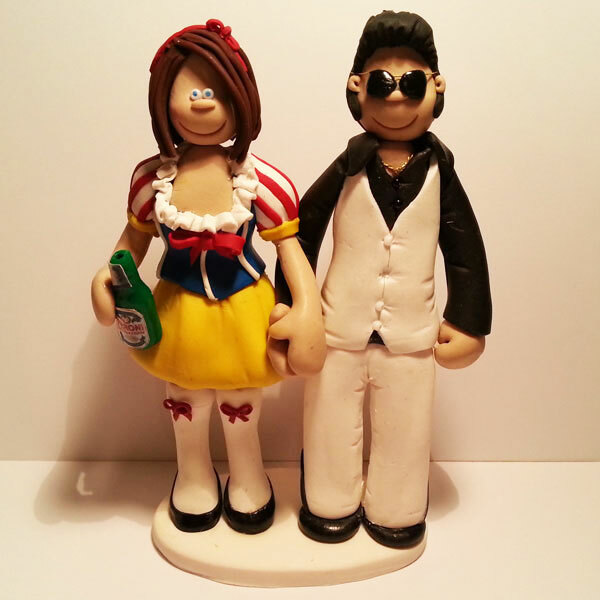 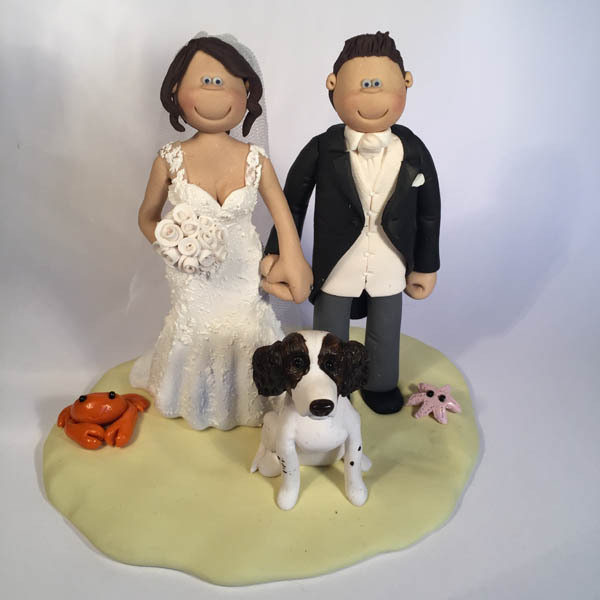 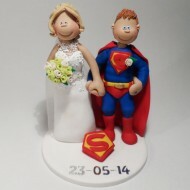 Elvis and Snow White getting married in this cake topper! 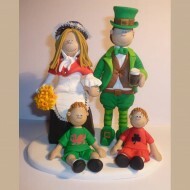 One of our most unique toppers with a Leprechaun! 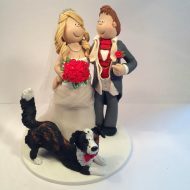 A Christmas themed topper with a naughty dog! The bride in this topper is off for happy hour! 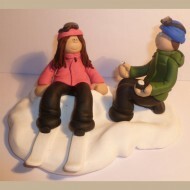 A couple taking a break from skiing to throw snowballs! 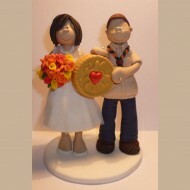 A scout leader and his fiancee holding a huge Jammie Dodger!